The 15th Highways Awards has taken place in London, celebrating the industry’s innovation and expertise. A collaboration from a wide range of organisations, big and small, won the Best Use of New Technology in the Highways Industry prize, sponsored by geobear. This year’s winner is a Stopped Vehicle Detection solution as part of the latest Smart Motorway all lane running. 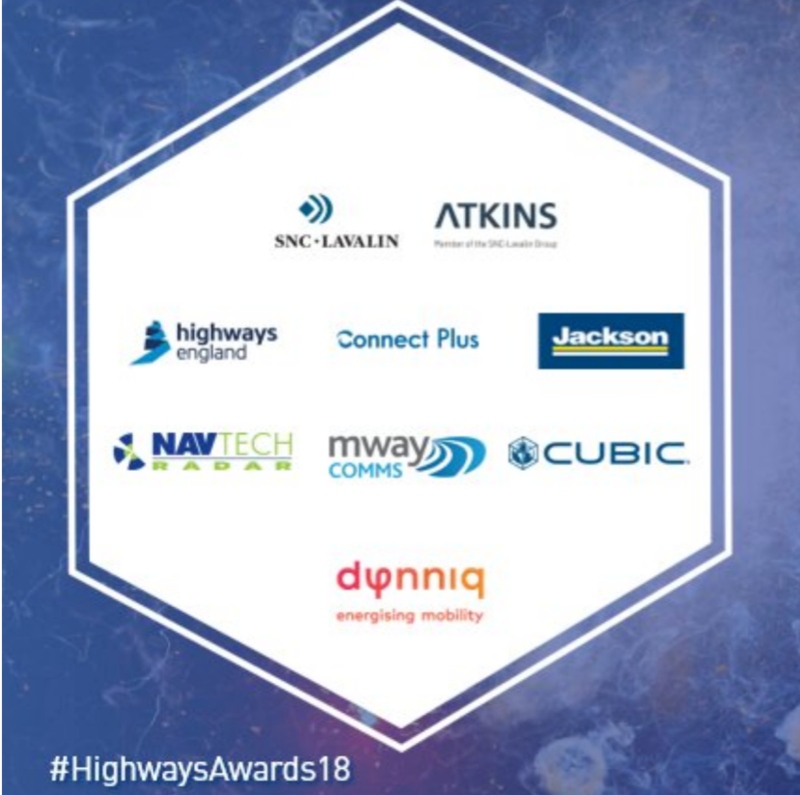 The winners are a joint project between Highways England, Connect Plus Services, Jackson Civil Engineering, Navtech Radar, MwayComms, CUBIC, Dynniq and SNC-Lavalin’s Atkins business. The need for an automated SVD system that could detect stranded vehicles in a few seconds was identified as it is impractical for control centre staff to continuously monitor every CCTV camera on a 24/7 basis. SVD radar is able to detect a stopped vehicle immediately and is programmed to provide an alarm to a Regional Control Centre after the vehicle has been stationary for 12 seconds. It then takes an average of 11 seconds for the RCC to investigate the alarm, and a further 50 seconds for the RCC to ‘classify’ these alarms and respond accordingly. Therefore, overall it takes just over one minute with SVD radar to detect and verify the presence of a stationary vehicle on the live carriageway. In simple terms, the SVD Radar system provides the opportunity for safety measures such as message signs, speed limits and motorway signal lane closures (red X) to be activated ten times sooner. This significantly reduces the risks to the vehicle occupants and other road users. For a full list of winners go to highwaysawards.co.uk.